On 23 January, an exhibition curated by Herve Mikaelhoff, will go on display at the Saatchi Gallery showcasing the works of Zurab Tsereteli. Paintings, sculptures and enamels spanning his early years to the present alongside archival footage that document his life and walk will fill the gallery space for your consumption. His hugely varied creative output will be demonstrated as you will be able to see works influenced from past meetings and relationships with influential masters such as Rauschenburg, Chagall and Picasso. 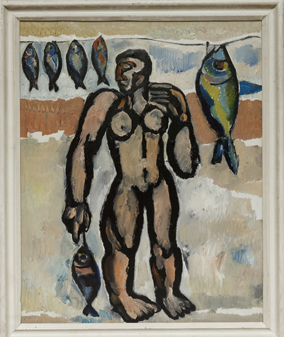 Tsereteli is globally recognised for breaking artistic convention, particularly during the Soviet period, alongside maintaining his own practice. Monumentality is central to his works and driven by his believe in the importance of total freedom in the arts. On display from 23 January -17 February.